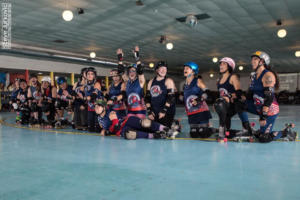 The Beloit Bombshells will be hosting the Minnesota Debutants on March 2, 2019. The doors open at 6pm and the action starts at 6:30. The rink is handicap accessible and concessions are available! This is a family friendly event. Tickets are available at Brown Paper Tickets for $10 or at the door for $12.